Tip: There are some great discounts available on Tony Robbins products at the moment. Click here to see the best active deals on Tony’s most popular live events including “Unleash the Power Within” (2019 – Dallas), “Date With Destiny” (2019 – Florida) and his top programs including “Ultimate Edge” and “Personal Power”. This live event by Tony Robbins is designed to enable you to break down the fears and psychological limitations which are holding you back from achieving massive success with your life. Tony addresses the difficulty of finding balance in modern life with commitments to relationships, health, work and time for yourself! Tony gives you the tools and strategies that will enable you to not just survive but thrive in all these important aspects of your life. Tip to Get the Best Deal: You can currently save $445-$600 off each Unleash the Power Within ticket or $547.50-$847.50 per ticket with the BOGO offer (Buy one get one free). The BOGO deal ends on 24 April 2019. Click the button below to get the deals. 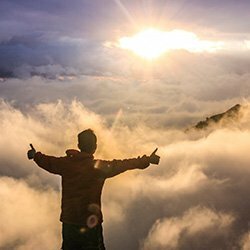 In this live event Tony helps you to understand the common patterns in all our lives so that you can vastly reduce the pain in your life and to create more lasting joy. Tony teaches you the tools and principles that will enable you to experience more gratitude, love, passion and fulfilment. A particular focus of the Date with Destiny Event is to connect with who you really are, find your true purpose and really go for it! Tony has hosted life changing seminars all over the world including in the US (Dallas, Los Angeles, New York, Chicago, Atlanta, Florida, San Jose), Canada (Vancouver, Toronto, Calgary), UK (London), Australia (Sydney), Singapore and Brazil. Tony's other live events include "Leadership Academy", "Business Mastery", "Life & Wealth Mastery" & "Business Results Training". 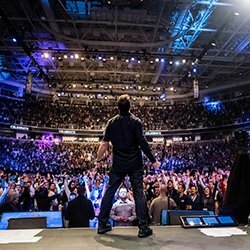 See the Tony Robbins 2019 events schedule with upcoming events & prices including VIP tickets. Tony's latest personal development program takes into account over 30 years of Tony's experience in peak performance coaching. Tony covers a lot of ground including understanding the 6 human needs driving all behavior, eliminating negative habits, creating positive habits that are easy to maintain and how to set and achieve goals that will provide a profound sense of fulfillment. 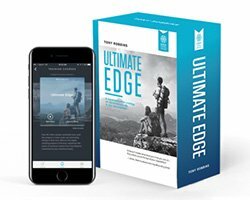 *Tip to Get the Best Deal: You can get 10% off Ultimate Edge by using the promo code below: Simply click below to copy the coupon code and visit the Tony Robbins website. Copy the promo code & visit tonyrobbins.com via the links below. Paste the code in just before check-out to activate the discount. Tony's most famous personal development program has ignited the driving force behind thousands of top performers around the world including figures such as Tim Ferriss. The 30 day program helps you get clear on what's really driving your behavior. It provides simple and effective strategies to align these powerful forces with goals that will transform your life beyond what you currently think is possible. 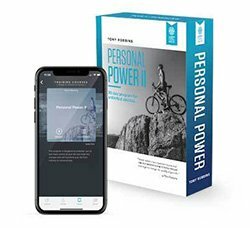 *Tip to Get the Best Deal: You can get 10% off Personal Power 2 by using the promo code below: Simply click below to copy the coupon code and visit the Tony Robbins website. Tony’s other programs include “RPM Life Management System”, “Living Health”, “Ultimate Weight Loss”, “The Body You Deserve”, “The Time of Your Life”, “Mastering Influence” & “Ultimate Relationship Program”. See all Tony Robbins Programs. Tony went on a mission to help the general public with personal finance, focusing on the best way to invest. Tony interviewed many of the top figures in the investment world for this book. He condensed their experience and advice into a valuable handbook with eye opening cases studies and specific investment advice including the ideal portfolio allocation recommendation from Ray Dalio. In "Awaken the Giant Within" Tony reminds you that, although your past is what led you to your current situation, your future does not have to equal your past. In typical Tony Robbins style, he challenges you to take responsibility for your life! He also guides you to take big positive actions in your life to awaken the greatness inside you. Tony’s other audiobooks include “Unshakable”, “Get the Edge”, “Unlimited Power”, “Giant Steps” & “Notes from a Friend”. 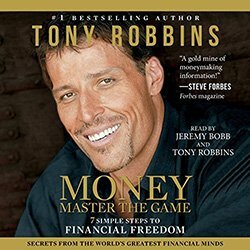 See all Tony Robbins Audiobooks. Tip: Remember to make the most of the 3 free audiobooks offers. Save $1500-$2000 off Date with Destiny Tickets (Palm Beach, Florida - Dec 2019) by booking today. Get 10% off all Tony Robbins products. Recommended programs that you can use this discount for: “Ultimate Edge”, "Mastering Influence" and “Personal Power 2”. Get 30 minutes of Results Coaching for free and achieve your most ambitious goals! Where can I see the full 2019 Schedule for UPW (Unleash the Power Within) Events? What is Tony's involvement in the Feeding America "100 Million Meals Challenge"? The defining moment that set Tony on his remarkable path was the day in his childhood during Thanksgiving when a stranger dropped off some food for his family. This act of generosity sparked an ever more powerful drive in Tony to contribute to others. In 2018 Tony Robbins donated the equivalent of 26 million meals through the Feeding America charity initiative. What does the Tony Robbin's Foundation do? The Tony Robbins Foundation is an international nonprofit organization dedicated to helping the underprivileged. The foundation has a particular focus on seniors, youth, the hungry, prisoners and homeless people. What awards / accolades has Tony Robbins achieved? Who has Tony Robbins worked with? Tony Robbins has interviewed and worked with many top names including Oprah Winfrey, Ray Dalio (finance expert), Tim Ferriss (personal development). He has also provided consultancy services to top leaders including Bill Clinton (former US president) and top sportsmen and women including Andre Agassi (former tennis world number 1). 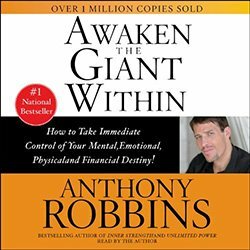 Share this page with your friends and get started together on a Tony Robbins program, audiobook or live event - good luck!